Two massive and deadly fires in Vermont have been solved when key photographs taken at each scene came to light many decades after the official files were closed and forgotten. Get out, get out, get out of here as quick as you can. Fire! Get out of here! Camley listened for several moments until the phone line went chillingly dead. She knew the call originated from Camp Smith and immediately notified the Waterbury Fire Department. In less than the time it takes to read this story, the Officer’s Quarters burned level to the ground. Three officers were dead and one had been dragged into the snow barely alive. He died the next day. The fire was massive. Imagine a 30-room building, shaped like an “L,” and measuring 160’ by 180’ being gone in less than fifteen minutes. Early the next morning, the camp commander Lt. Colonel Henry C. McClean, convened a formal Board of Inquiry. 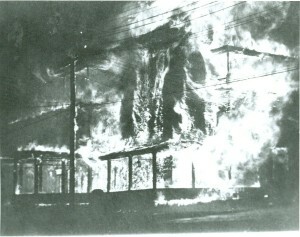 Shock waves reached the national headquarters of the CCC in Washington, DC because this was the latest in a series of fatal fires in CCC buildings. There was a growing concern that the standard barracks buildings were proving to be death traps. The Board of Inquiry interviewed many witnesses but there was no real consensus on where the fire started. An equal number stated it started at the north entrance while others swore it started 340’ away at the opposite end. 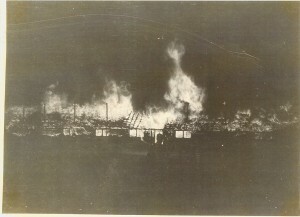 Yet others swore it began at the middle of the “L.” Some even testified the fire started “everywhere” at the same time. Newspapers were loaded with speculation that the nearly 30 coal stoves (one in each room) were known to be of poor quality. This was compounded by the accusation that the government was buying poor quality coal which produced excessive methane gas during combustion. It was further revealed that escape was made very difficult because the lone window in each room tilted in at the top and its travel was limited by chains attached to the walls. This CCC building did indeed appear to be a death trap. After several days of testimony, the board issued its finding with nearly two dozen conclusions but leaving the actual cause unresolved. Even a casual read of the entire file (at the U.S. National Archives) leads to the conclusion that this was a whitewash. Then in 2001……a nephew of former CCC veteran First Lieutenant Henry G. Howard of Connecticut arrived at the Waterbury Public Library asking if anyone would like to have his recently deceased uncle’s scrapbook which included material about his time at Camp Smith. Inside the album were many unlabeled photographs. 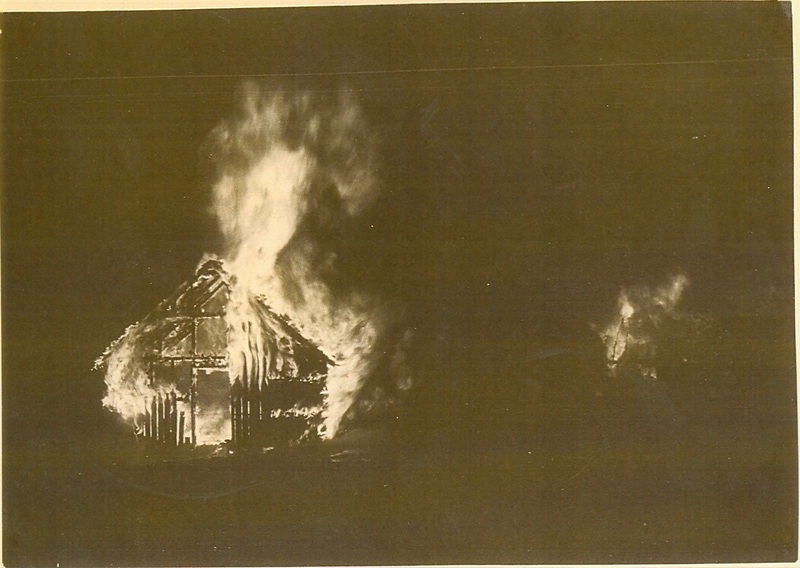 Only a person familiar with the story could recognize that two were photos of the Officer’s Quarters during the fire! 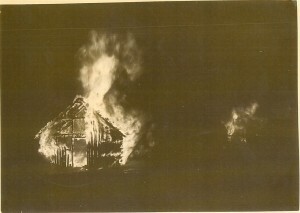 One was taken at the start of the fire and the second was in the middle of the conflagration. 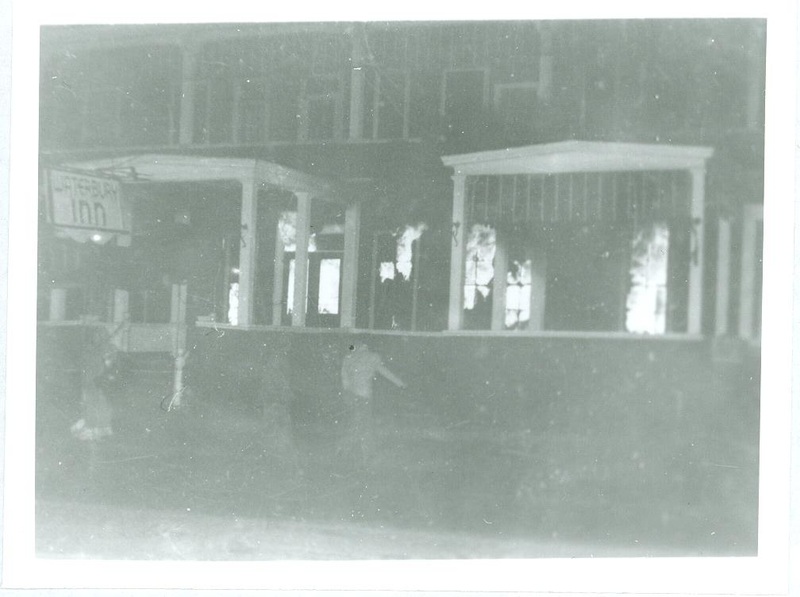 Without question, one can see flames in the first photo pouring from both entrances. The fire clearly did start at both ends of the building at the same time. The speculation in the papers had been correct, methane gas had accumulated in the open loft and ignited with flames visible 340’ apart at the same moment. We’ll never know who took the photos or if the Board of Inquiry knew of their existence. If they did know, did they purposely withhold them from evidence? After nearly eight decades that part of the mystery is now impossible to solve. 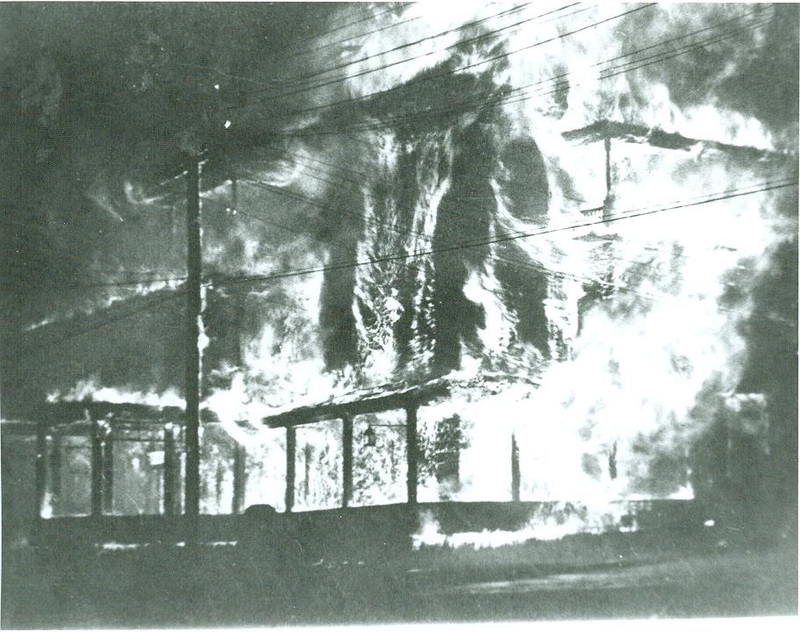 The second fire took place on November 3, 1953 and remains as the largest fire in the history of Waterbury. 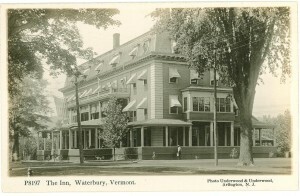 Despite early reports that four might have perished, it was later determined that only the manager had died when the Waterbury Inn burned to the ground in less than an hour. This four story wooden hotel had been built in 1865 and served as a luxury resort for the wealthy until the early 1950s when the business began to fail. Arson was immediately suspected because the Inn’s last reliable source of income was going to be pinched off the next morning when it would lose its liquor license because of a series of violations. Once again, seemingly every witness at the hearing convened by the Fire Marshall swore that the 2:00 AM fire had started at a different location. Nobody agreed. The official conclusion was that the origin was probably cigarettes dumped into a waste basket in the lobby but it was only an educated guess. Enter (then 17-year-old Gwen Miller) who had just graduated from Waterbury High School and her Brownie Hawkeye camera. When the neighborhood awoke to shouts and sirens she ran out of her house then heard someone ask if anyone had a camera. She retrieved the Brownie and took several spectacular photographs of the fire. Having scooped the newspapers they all offered to purchase the rights and she willingly agreed. However…..the papers weren’t interested in one grayish and grainy photo which sat in her photo album until it came to light decades later. As with the CCC fire, Miller’s photo was taken in the earliest minutes of the disaster. It shows guests escaping out the front door, in their night clothes, while the glow is just starting behind them –in the lobby. Even a casual glance of the photo proves the fire started in the lobby. All of the witnesses who knowingly testified that it began at this end, or that end, or with a grass fire were all completely mistaken. Two fires, five deaths, dozens of witnesses, three photos and decades later two deadly fires can finally be put to bed as solved.